The Major Mitchell’s cockatoo is a beautiful colored cockatoo. The feathers on the wings are white, the rest of them are a soft pink. The crest looks plain when it is down, but when erect is has beautiful orange and yellow coloring. The bill and feet are bone-colored. The Scientific name of this bird is Cacatua leadbeateri, previously Lophochroa leadbeateri. 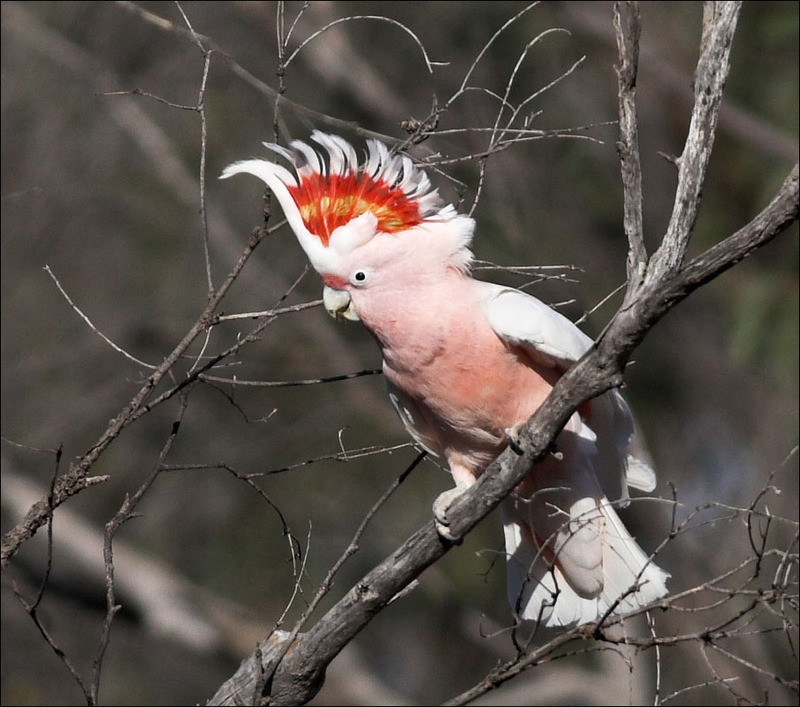 The Major Mitchell’s cockatoo occurs naturally in Soutnern and Western Australia. They live in forest areas and do not go to the open field so often. It is possible to keep this species of cockatoo as a pet in your home, but it is not common. They can become just as tame, affectionate and loving as any other species of cockatoo, but they need to be socialized well. If they are not correclty socialized and tamed when young, they will never become really tame or affectionate to humans. This species is also extremely hard to breed in captivity and generally needs a very large aviary. This is why this bird is more seen in bird parks and zoos than as a pet.